A husband and wife were shopping when the wife said, "Darling, its my mother's birthday tomorrow. What shall we buy for her? She would like something electric." 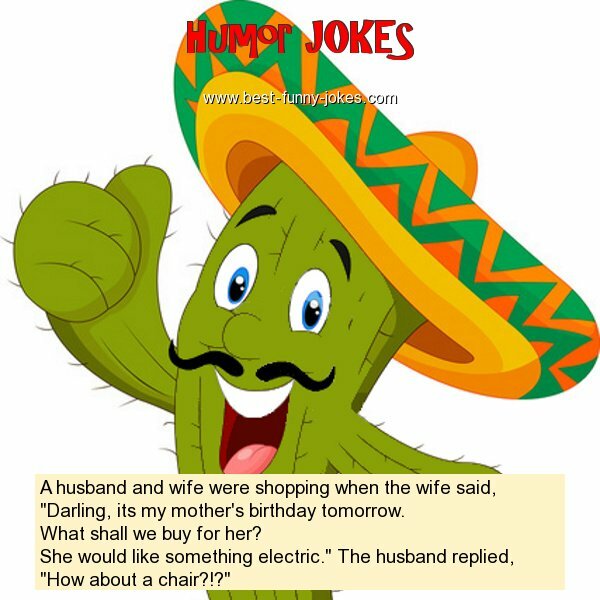 The husband replied, "How about a chair?!?"